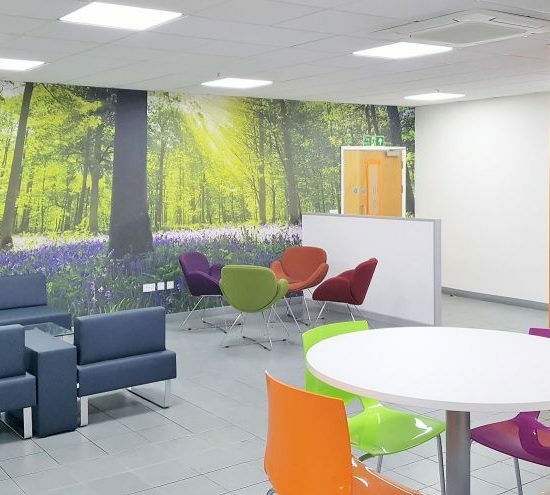 Providing a modern and relaxing area for staff was the brief for this project, whilst keeping within a strict set of budgets. 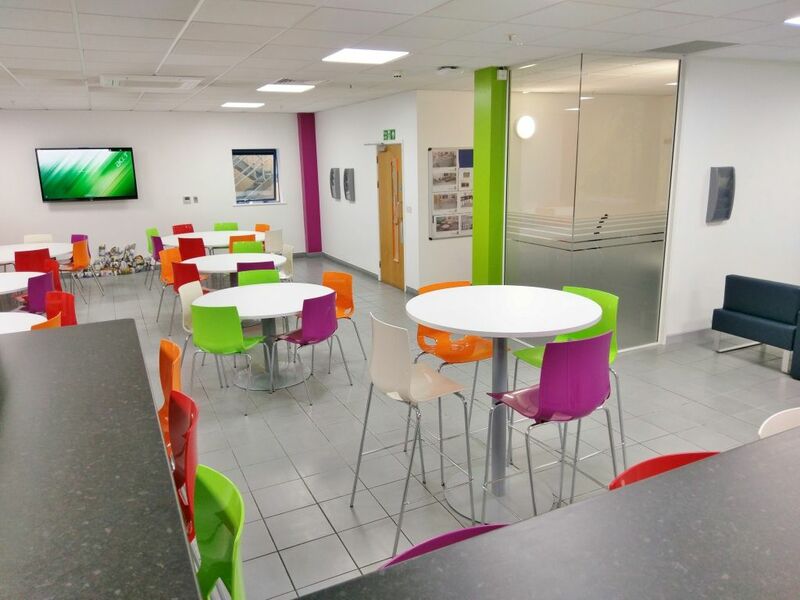 There were two main areas of this canteen refurbishment, the main canteen, a smaller works canteen and in addition a new reception counter. 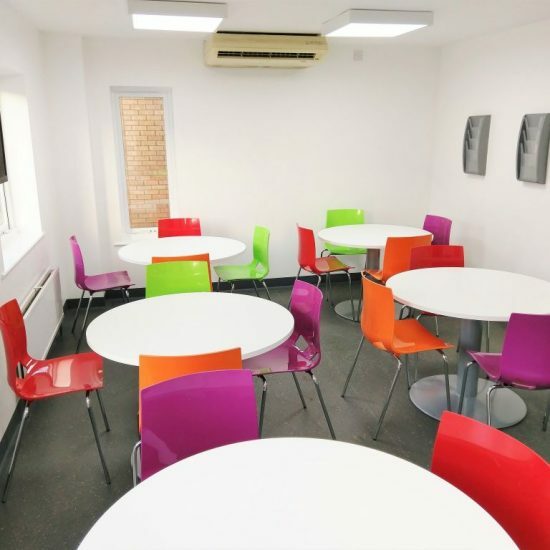 The main canteen scope of works consisted of a fresh new colour scheme, new kitchen units and worktops, breakfast bar area, internet café and a mixture of furniture throughout the area suitable to seat up to 50 people at any one time. 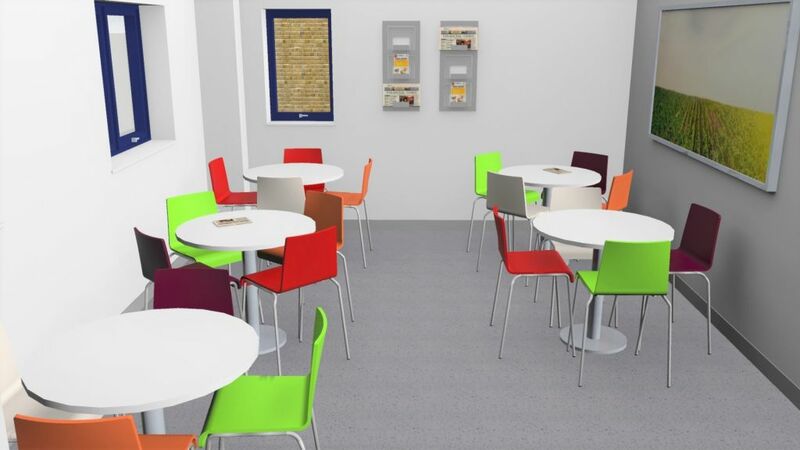 Throughout the initial design phase a choice on seating was very important, to allow staff taking rest time from different areas of the factory and offices, to have the choice of options on seating types. 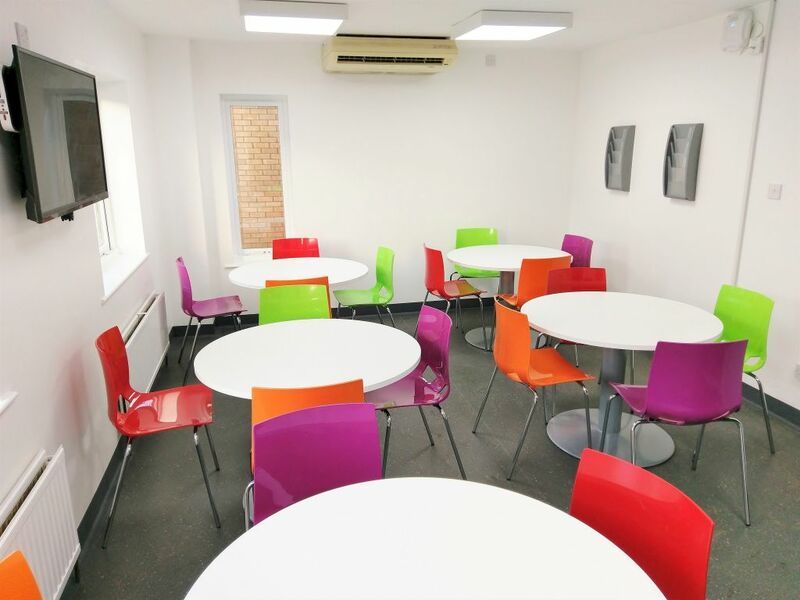 We needed to accommodate people of differing heights, in hard and soft seating, in both high and low styles. New partition walls containing sections of frameless glazing were installed to create the new segregated internet café area allowing manufacturing staff access to computers and the internet during lunch break hours. 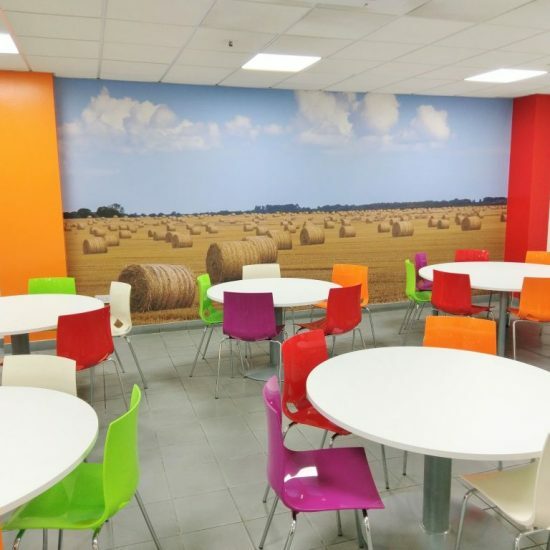 Two feature walls were also picked out and digital images applied to them designed to bring the countryside indoors and to match the new colour scheme. All of the existing kitchen units and worktops were removed and replaced with grey gloss units and a slate effect worktop, new sink, taps and an instant under sink hot water heater. 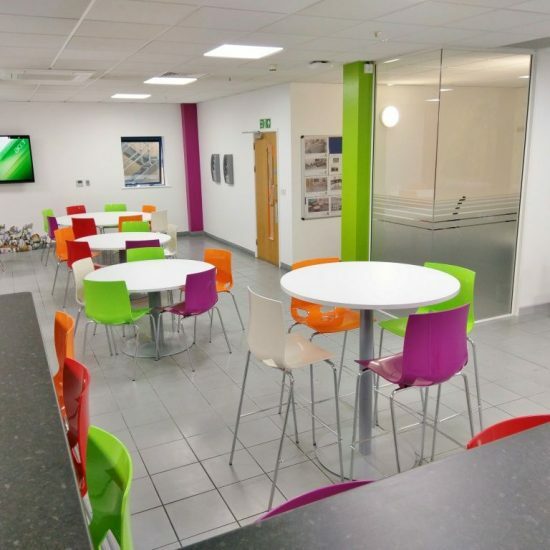 The area was completed with new faceplates to the electrics, all new low energy flat panel led lighting and a full local test and inspection. 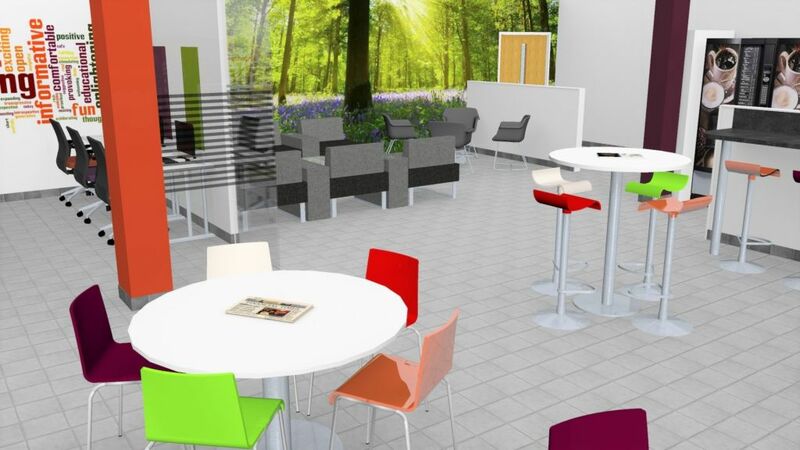 While working on the above area we also looked at transforming the smaller works canteen area. This area required the existing brick exposed walls to be covered by plasterboard to give a smooth finish ready for painting along with re-plastering the existing ceiling, fresh plaster to the remaining untreated walls, before full decoration. 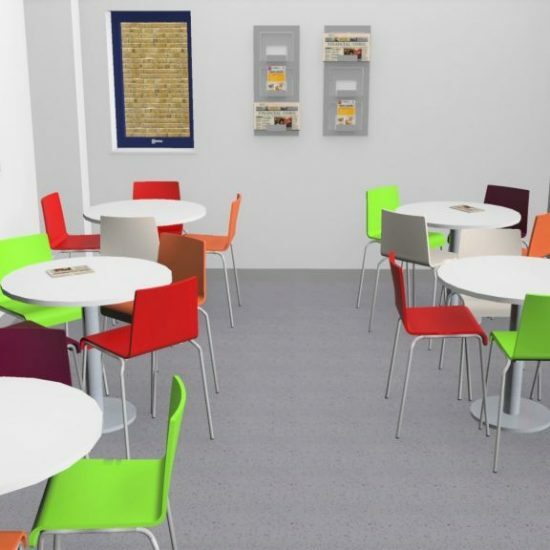 A new vinyl floor was laid throughout with a sit in skirting detail to ensure ease of maintenance, and the canteen refurbishment was completed again with new energy efficient flat panel led lighting, canteen furniture, new kitchen units and worktops, and a full local electrical test and inspection. To the reception area the changes were minimal. 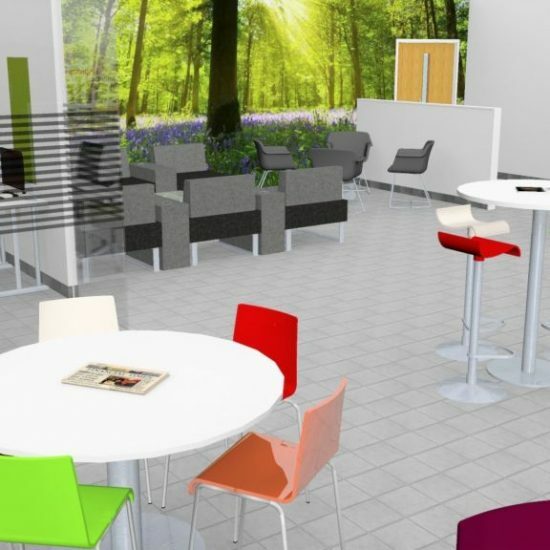 The major change came in the way of the installation of a new modular reception desk with increased storage cupboards. 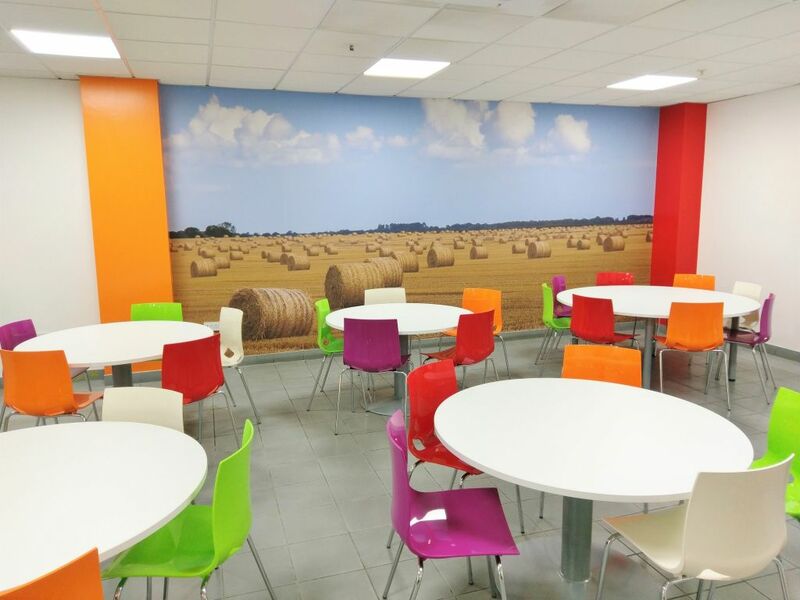 These projects were completed on time, to budget and as agreed in the principle design stage.